Kids are proud when they lose their first tooth, why not let them show the world! 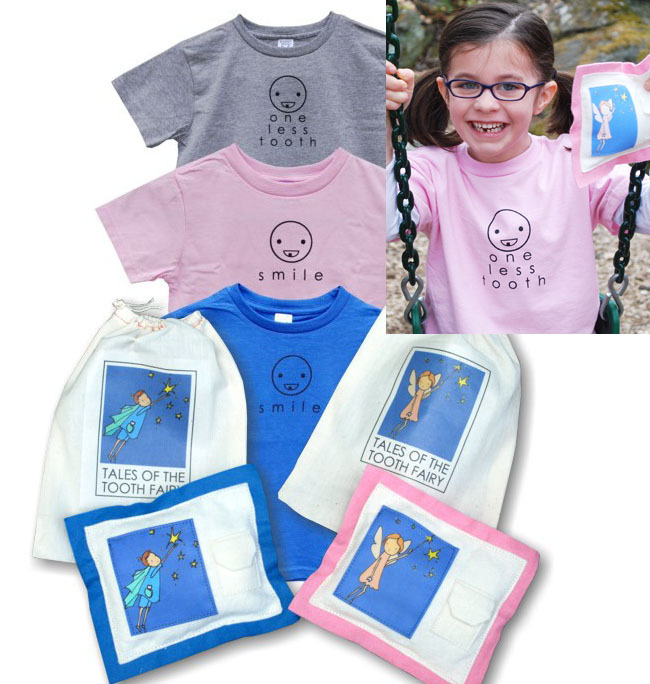 Included in our 3 piece toothfairy gift set is one toothfairy pillow, one t-shirt (saying either smile or one less tooth) and one keepsake storage bag. Our Tales of the Toothfairy Pillow is a 6" x 7" wool felt pillow stuffed with poly fiber fill. The tooth goes in the front envelope pocket and the surprise from the Toothfairy goes in the back! This pillow is artisan made in the USA and includes an original artwork by Sandra Wright. Each pillow comes with a Tales of the Toothfairy story. Pillows come in blue and pink. 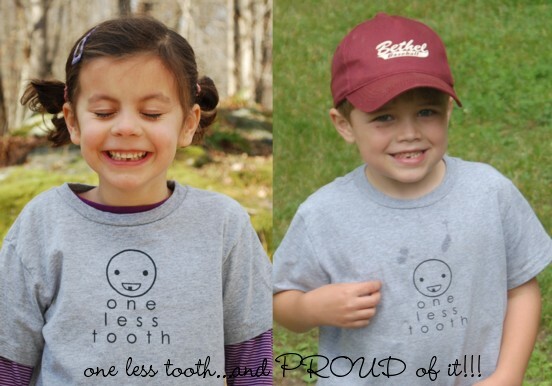 Our lost tooth t-shirts let your kids proudly display their lost teeth to the world! T-shirts come in sizes 5/6 and 7. They are 100% cotton jeresy knit and come in pink, grey and blue. You can pick your t-shirt saying, either SMILE or ONE LESS TOOTH. Shirts run true to size, but if you have a big kid (boys especially), order up a size. The keepsake storage bag is 100% cotton. A great place to keep your toothfairy pillow of any other treasures!